Chip Gaines’ biggest fan came out over the weekend to cheer him on and celebrate his accomplishments at the Silo District Marathon in Waco, Texas. 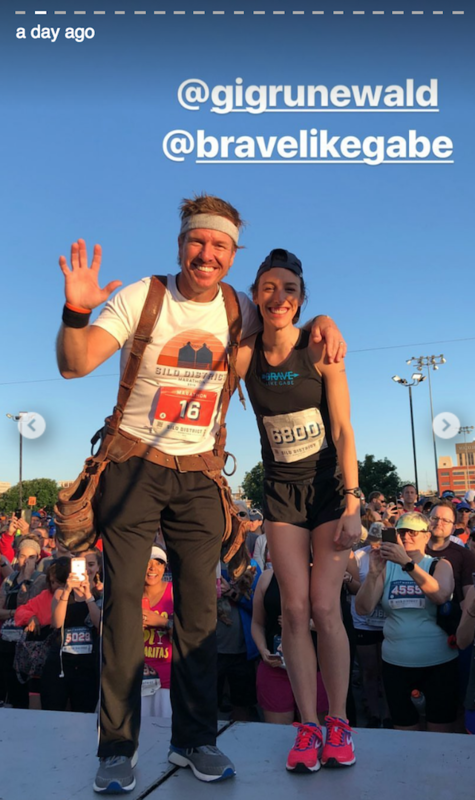 That fan was the one, the only Joanna Gaines, and she made sure to get out there and let her husband know he wouldn’t have to run his first big marathon without the welcome wagon (Joanna and some family and friends) cheer for him through every step of the race. Joanna documented Chip’s participation in the Silo District Marathon on Instagram, keeping a dutiful record of the entire marathon journey. People magazine confirmed that one of the first photos in her story showed Chip alongside Gabriele Grunewald, a cancer survivor and professional runner who actually inspired the Gaineses with her story, which led them to create the Silo District Marathon. While Grunewald chose traditional marathon attire, Chip opted for something that could have proven troublesome during the marathon: long pants and a tool belt. Perhaps it’s a symbolic gesture of solidarity with Grunewald, who lived with the unseen weight of cancer. 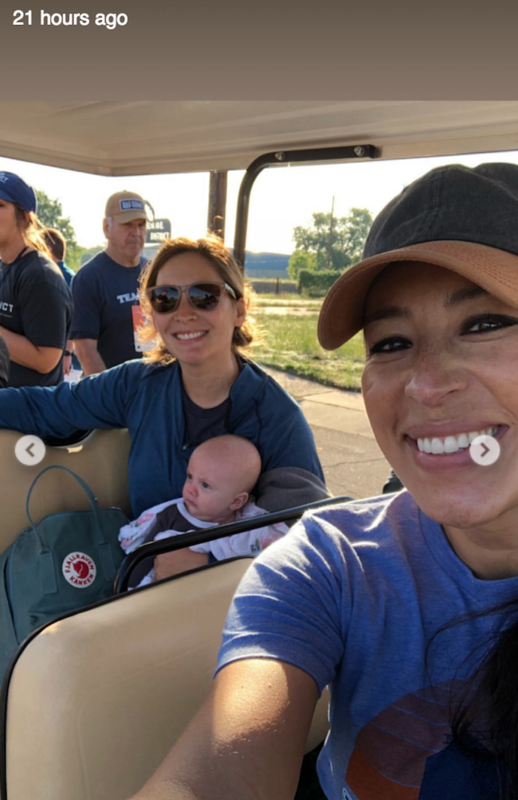 Because she’s five months pregnant, rather than following Chip along the marathon route on foot in the Waco heat and cheering him on, Joanna actually rode alongside him in a golf cart with other family members. She also showed her Instagram followers Chip’s progress at different points in the race. 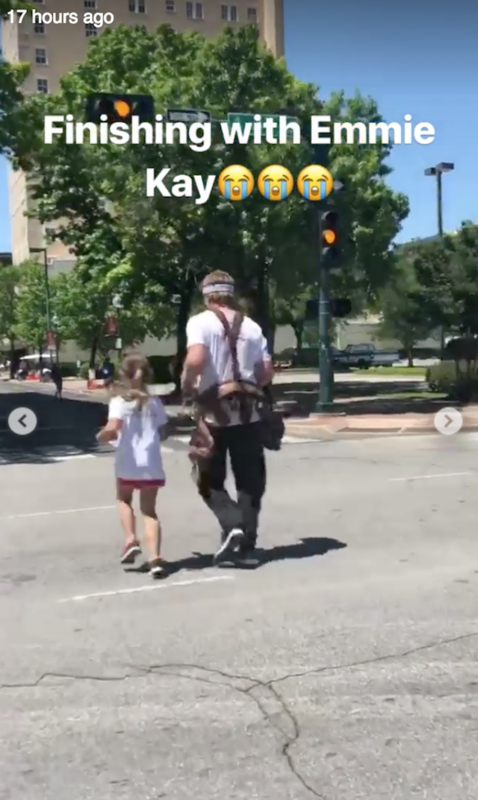 While in the home stretch, she posted an adorable video with their daughter, Emmie Kay, who jumped in to keep his spirits up. Too cute! She also made sure to document Chip crossing the finish line and turned the moment. 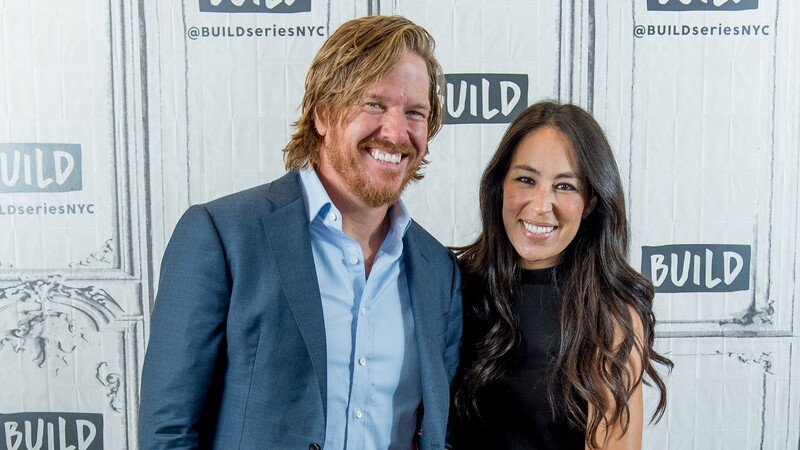 “Couldn’t be prouder of you @chipgaines … YOU DID IT!! #silodistrictmarathon,” she captioned the photo of Chip looking happy and victorious as he basked in the glow of a race well run. No official running times have been posted yet for us all to see, so we’re not sure how Chip fared, but that hardly matters. He’s been training for months now and working to ensure the Silo District Marathon went off without a hitch. He not only ran, but according to the marathon website, he and Joanna helped raise money to donate to the Brave Like Gabe Foundation (Grunewald’s foundation), which funds research on treating rarer cancers. Chip has done something way bigger than most of us have, and he deserves a major pat on the back for that — and lots of cheering and love from Joanna and the kids.